Mario Kart 8 boasts a total of 30 racers to choose from from what we've seen so far. 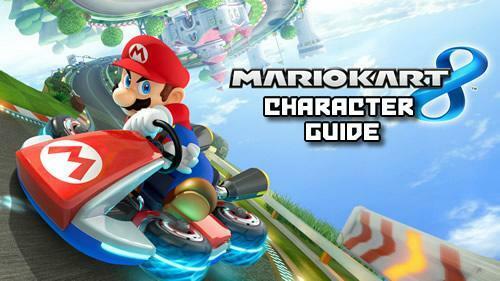 This massive selection includes returning veterans and some surprising new racers... so we can understand if you need some assistance in choosing the one thats right for you, well our guide to the characters and weight classes of MK8 is here to help. Characters are spread amongst seven different weight categories which break out as below. The three smallest classes can be easily rammed out of the way by their heavier counterparts - although they do feature the best acceleration and lose the most pace when they go off track. Lightweight karts have the lowest top speeds due to having the smallest engines. Examples of light racers - The Five Babies. The middle class is a true average between the heavy and light counterparts; having no real weaknesses, but no particular strengths. Average acceleration, Average Top speed, Average resistance to being knocked off the track by other racers. Examples of medium racers - Mario and Luigi. The big boys - as usual these guys have the biggest engines so expect the best top speeds from them, however take note, it'll take you a while to achieve those top speeds due to slower acceleration. A good class choice if you're a bit of a bully on the tracks, as you'll be able to barge most opponents off the track. Examples of the big boys - Donkey Kong, Wario, Bowser. 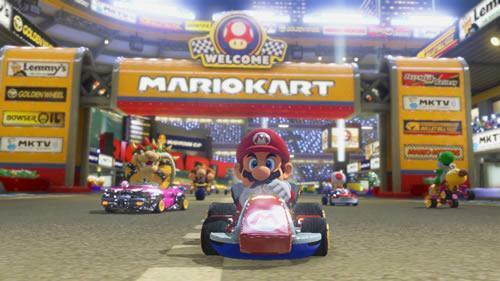 Initially, you will have 16 out of 30 of the drivers available for you to choose from many of which are returning veteran racers from the Mario Kart series. Heres the lineup. Baby Daisy - first raced in Mario Kart Wii where you had to unlock her by beating Star Cup at 50cc. She returns to excite and annoy as a Featherweight racer. Baby Peach - Mario Kart Wii just wasn't enough for Peaches' baby alter ego, she will be the fourth baby in the Featherweight lineup for MK8. Expect to accelerate quickly, and be bashed off the track lots. 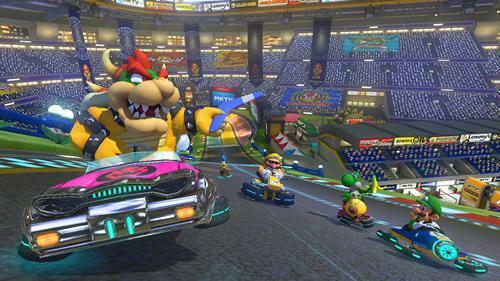 Bowser - Mario has again proven what a nice guy he is, after everything Bowser has done to him for the last 29 years (yes its been that long) he continues to invite this guy karting. As you would expect Bowser returns as the first entry in the Super Heavyweight category, the more aggressive drivers amongst us will be overjoyed. Bowser is a staple character in the Mario Kart series and has been harming his fellow road users since the original SNES Mario Kart. Daisy - Princess Daisy (along with her usual bike suit for bike or buggy rides) is the first entrant to the light weight category. She has been causing distress to her rivals with annoying anecdotes since Mario Kart: Double Dash back in 2003! Donkey Kong - Despite Mario kidnapping him all those years ago Kong is swinging back into action for another of Mario's famed karting events, Kong has appeared in every Mario Kart title since he replaced Donkey Kong Jr (who raced in his stead in the original Mario Kart) another heavyweight. Thanks to the Wii U's graphics engine you can practically see Kongs fur blowing in the wind in this outing where he features as a playable character in the Super Heavyweight category. Koopa Troopa - Another veteran in the starting lineup, Koopa Troopa has been Karting since the first events on the SNES, he was on vacation for the events of Mario Kart 64, but has been at all other events since. A personal favourite of mine, this little guy will be racing in the Super Light weight bracket. Luigi - Still on a high from finally getting his own year, Luigi looks confident as he gets ready to race on May 30th. Big L is going to be racing in Medium category and has a bigger fan base than ever cheering him on. This will be the green bros eighth of eight tournaments, he just can't stay away. Mario - What would a Mario Kart title be without its namesake plumber? I'll tell you exactly what it'd be. "Kart 8" - Doesn't have the same ring to it does it? In true Mario Kart tradition Mario will continue to have average all round attributes, fitting perfectly into the medium weight class. Peach - She's always flitted between Light and Middleweight in past titles but this time her weigh-in has landed her in the Light category, looks like her participation in all those Mario Sports games has paid off. Peach has featured in every Mario Kart outing to date. It's said that Peach has been using the advantage of having her own privately owned race courses to practice, expect excellent handling and acceleration. Shy Guy - this little guy first appeared in Mario Kart: Double Dash, though he wasn't playable yet. Remember the little horror who kept ice skating into you during races at MKDD's Sherbet Land track? yep its him, and he enjoyed ruining your chances at glory so much he began participating in the races himself in both Mario Kart DS, Mario Kart Wii and most recently Mario Kart 7. Shy Guy is in the Super Light weight class. Toad - Another veteran racer for the Super Light class returns to light up the track with his legendary quick acceleration, Toad has competed in every karting event to date. Waluigi - Still furious about not making it as a playable character to the Wii U and 3DS renditions of Super Smash Bros, Waluigi wipes the sweat from his brow as he is added to the starting lineup for MK8 as a Cruiser weight racer. Waluigi has been racing since Mario Kart: Double Dash. Wario - Made his debut appearance in Mario Kart 64 when he stole Koopa Troopas Kart and raced for the first time. Wario's colossal gut gives true meaning to Super Heavyweight, and that is of course his designated weight class. His characteristic slow acceleration and top speed will remain unchanged, but he'll be big enough and ugly enough to rival Bowser and DK in the kart ramming stakes. Wario has even had a new track named after him "Mount Wario" which will feature as the final track in Star Cup. Yoshi - Like Peach, Yoshi flits between Light and Middleweight classes, having gone from Middleweight in Mario Kart Wii to Lightweight in Mario Kart 7. As you would expect from this fan favourite, he has been present in every Mario Kart title to date. Yoshi's girlfriend Birdo however will not be in attendance this time round. 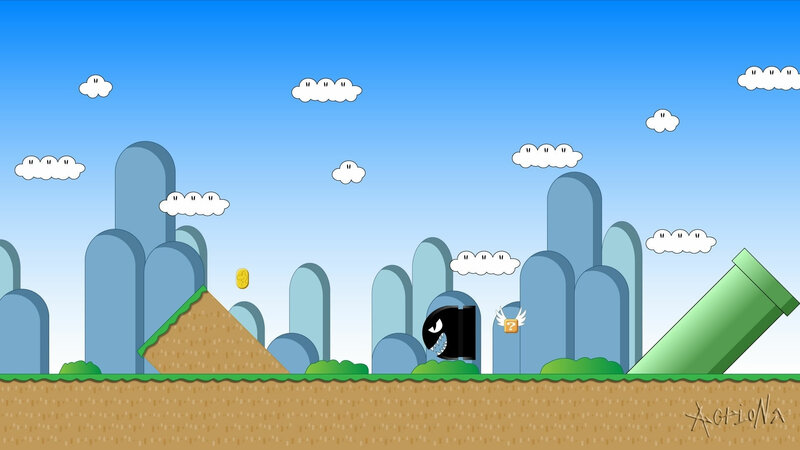 A trailer from April 2014 showing some of the playable characters including Lakitu, Metal Mario and the Koopa Kids as new playable characters. As if choosing from a roster of 16 starting characters wasn't enough, the starting 16 are complimented by a further 14 unlockable characters, check them all out below! Baby Rosalina - MOAR BABIEZ?? Yes, the arrival of this little bundle of joy means we have five featherweight tots to choose from. I guess it wouldn't have been fair to leave the baby version of Rosalina out of the kart play given all the other babies that are attending. Lakitu - This guy has always been around in the Mario Kart series, but usually just to maintain order... this time our cloud dwelling friend steps into his Kart for the first time. As you would expect, he is in the Super Light class. Larry Koopa - Expect some underhanded special moves from the Koopa who was known as Cheatsy in the cartoons. A new driver in the Super Light class. Lemmy Koopa - Named after the lead singer of Motorhead (apt for the Motor and Kart connection) The tiniest of the Koopa Kids is a new entrant in the feather class. Ludwig Von Koopa - Also known from the cartoons as Kooky Von Koopa, the most scheming intellectual of the Koopa clan is a new entrant in the Medium class. Mii - The class that the Mii belongs too will depend on the size of the user that the Mii belongs to. For example a huge guy's Mii might be in the Super Heavyweight class, whilst a little girl might end up taking on the attributes of a Feather weight contender. Morton Koopa Jr - Known in the cartoons as Bigmouth Koopa. Morton is a new entrant in the Super Heavyweight class. Thats a whole lotta Koopaling for one Kart. Pink and Gold Peach - The powered up version of her namesake, she is to Peach, what metal Mario is to Mario. Being the royalty that she is, she couldn't settle for metal and is said to be composed of gold and diamonds. Rosalina - A new driver in the Cruiser weight class. How can she be so much heavier classed than Peach and Daisy with whom she shares a similar build? Roy Koopa - Bully by alternative name, and Bully by nature, Roy is a new driver in the Cruiser weight class. Slow acceleration and brutal force comes as standard. Toadette - Appearing for the fourth time in the Mario Kart series, Toadette is a Super Light class racer. Wendy O' Koopa - Also known as Kootie Pie, and stepping into her kart for the first time, Wendy falls into the Super Light category. Beat her at your own risk, you may never hear the end of it. 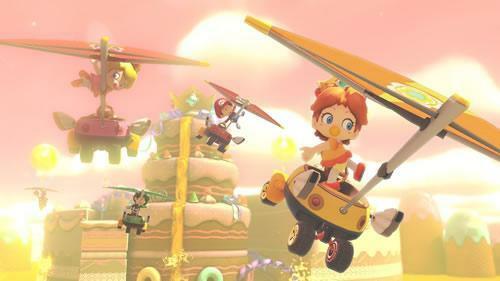 “New Racers: Two new playable female characters make their debut appearances in Mario Kart 8. New heavyweight driver Pink Gold Peach glows with a golden light and makes a nice counterpart to Metal Mario. Now that you've seen the rather exciting variety of popular Marioverse characters you can play as, including unexpected new arrivals and returning veterans please let us know who you will be playing as in MK8 in the comments below.